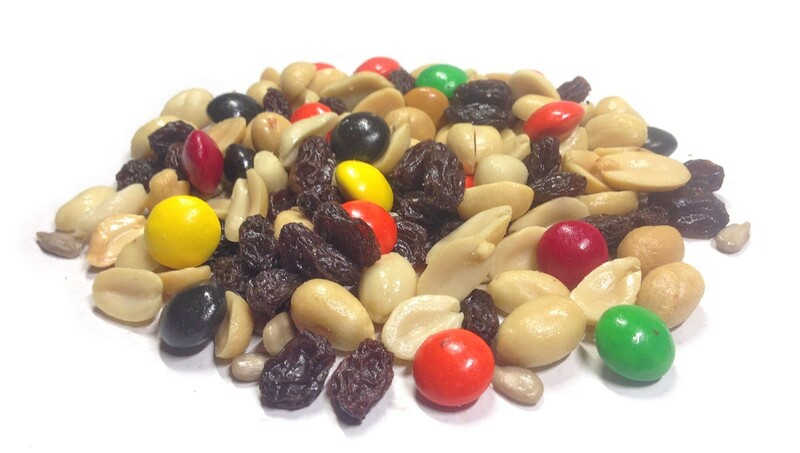 Our Chocolate Trail Mix is the perfect balance of roasted & salted peanuts, chocolate pokies, sun-dried raisins, and raw sunflower seeds - a great way to treat yourself to a little bit of chocolate, because you deserve it! This mix is loaded with protein, iron, potassium, antioxidants and mono-unsaturated fats to help keep your immune system strong and your heart healthy. • Like this snack? Try our Hill Country Ramblin'! 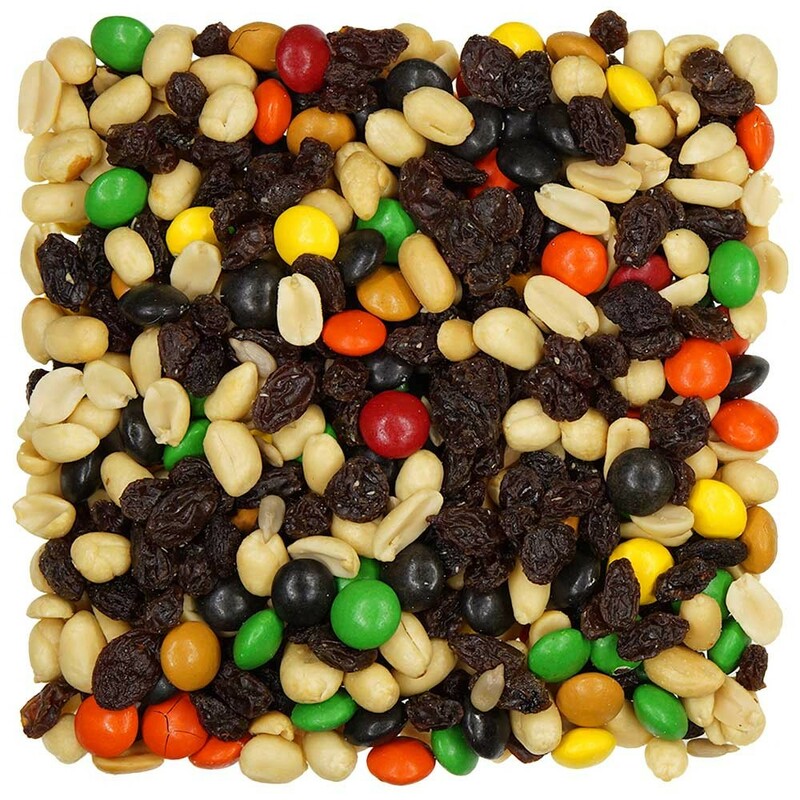 Roasted Salted Peanuts (Peanuts, Cottonseed, Peanut and/or Canola Oil, Sea Salt), Pokies (Milk Chocolate (Sugar, Cocoa Butter, Chocolate Liquor, Whole Milk Powder, Soy Lecithin and Vanilla), Sugar, Artificial Color (FD&C Blue #1, Blue #1 Lake, Blue #2 Lake, Yellow #5, Yellow #5 Lake, Yellow #6, Yellow #6 Lake, Red #40, Red #40 Lake, Sorbitol, Titanium Dioxide, Phosphoric Acid, Methyl and Propyl Parabens, Caramel), Corn Syrup, Wax Dextrin), Raisins (Dried Seedless Grapes), Raw Sunflower Kernels.